How will we change the system? In February 2019, UK-based Happy City released their all-new Happiness Pulse web-app, with support from the National Lottery Community Fund. The Happiness Pulse is a free online survey that combines a range of academic measures of wellbeing into a simple and interactive five minute survey. For too long we have focused on a vision of progress centred on consuming more, individually and collectively, to drive ‘economic growth’. Happy City have, for almost ten years, been at the vanguard of a movement to recalibrate this collective compass, towards the wellbeing of people, place and planet. Much of that work is about challenging the core local conditions for people to thrive – now and in the future, via our Thriving Places Index. But at the heart of such change we must also measure, and as the adage says, therefore ‘treasure’ what matters most – the experienced lives in our communities. The Happiness Pulse does just that. No longer do you need a fleet of academics to gather and understand information on the complex web of factors that most influence our capacity to thrive. Neither do you need deep pockets, or a PhD in wellbeing. Happy City alongside a range of academics, leading experts, local decision makers and ordinary members of the public, have done the hard work for you. Anyone can use the Happiness Pulse to quickly gather the key information from group or groups of any size, and produce accessible data reports to guide their work, and demonstrate the impact their organisation has on people’s lives. The Happiness Pulse measures what matters – the things that both academic research and communities themselves say matter most to their lives. They are grouped into three easily understood domains, ‘Be, Do and Connect’, to unearth the nuance often hidden behind simple happiness or life satisfaction surveys. Are people, feeling, behaving and connecting, in ways that are helping or hindering their capacity to thrive? The Happiness Pulse helps really spot ways to target time and resources where they are needed most. This new tool also supports organisations to demonstrate social impact. Those at the coalface of work in community organisations, or workforces have long known the ripple effect that work has on people’s lives beyond simplistic economic measures – now they can demonstrate the detail of that impact in an easy, reliable and trusted way. And importantly it gives back to those whose lives it explores. This is more than a simple survey – it instantly shares the results in really accessible and thought provoking ways to the individuals who take it, the teams who deliver it, and the leaders who commission it, helping each to take their part in the vital job of improving wellbeing. Joseph Stiglitz wisely said that ‘If we measure the wrong things, we strive for the wrong things’. For too long we have not valued wellbeing enough to invest in really measuring and understanding it. The Happiness Pulse can change all that at any scale from a tiny community group or enterprise, up to a multi-national organization or an entire city. UNDERSTAND: Evaluate the social impact and value of interventions, projects and programmes to understand the detail of works and demonstrate this to funders, staff, boards, partners and communities themselves with accessible, shareable reports. IMPROVE: The easy to use dashboard helps build a picture of wellbeing changes, informing and evaluating actions, interventions and investments and easy ways to share learning. Happy City and their partners have worked tirelessly to make this new tool practical and useful – for individuals, groups, businesses, communities and policy makers. The basic version is entirely free to use – at any scale – to support usage across sectors and communities UK wide. Together, users will help start shifting our collective compass to improving lives, not just lining pockets. In addition there are a wide range of additional features that can support more in-depth understanding and more bespoke outcomes for those organisations deeply committed to building a wellbeing culture and economy where they are. So take your Happiness Pulse today – and see how you could start improving lives – your own and those around you. Visit happinesspulse.org for more information and to sign up for your free account. 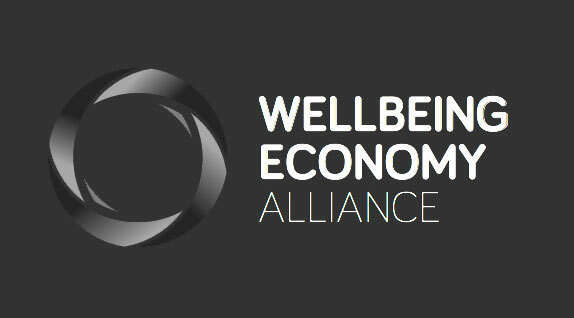 The Wellbeing Economy Alliance (WEAll) exists to help bring about a transformation of the economic system, of society and of institutions so that all actors prioritise shared wellbeing on a healthy planet. Sign up to receive regular updates from WEAll. You’ll be the first to hear about events, publications and opportunities to be part of the transition to a wellbeing economy, wherever you are.